Posted on October 26, 2015 by staceyanderton1	in Uncategorized. On the cold, Fall morning of October 17, a few members of the Key Club raked leaves on Ryan Road, supervised by Marlene Jenkins, the Pantherian Key Club supervisor from the Meadville Golden K Kiwanis Club. 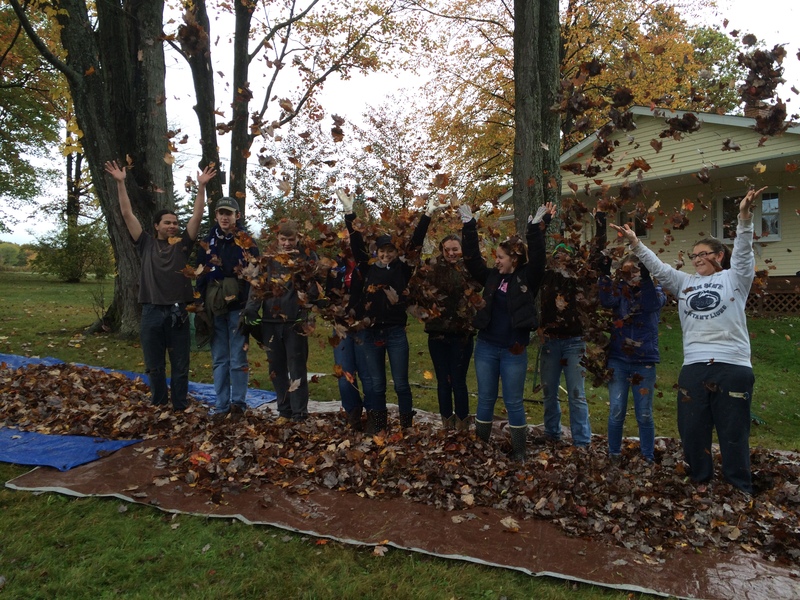 Although the official Make A Difference Day was held Oct. 24, for Key Club, the difference came a week early as they raked leaves at Janet Haas’s house in remembrance of Dwight Haas, a member of the Meadville Golden K Kiwanis Club, who passed away last April. 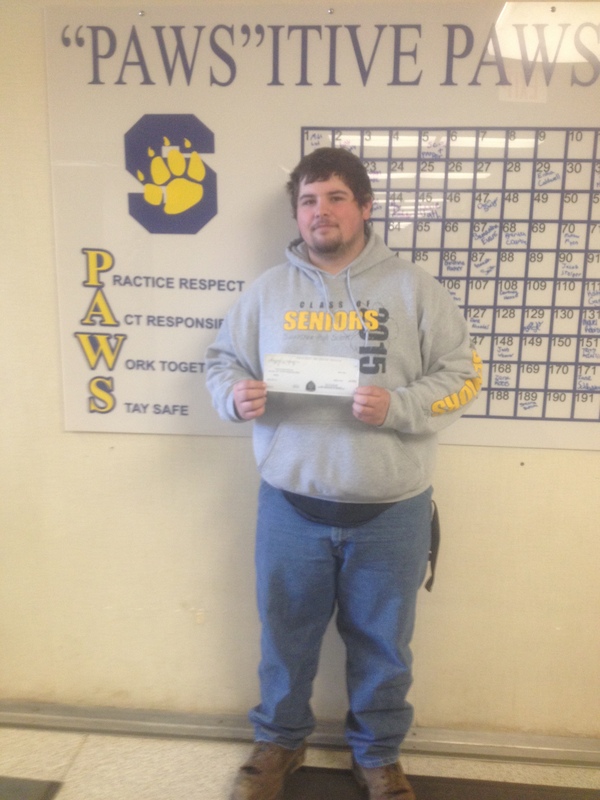 Haas was a large supporter of SHS Key Club. Make A Difference Day is the largest single-day of volunteering, in collaboration with Points of Light, another large volunteering service. This was the twenty-fourth year it has been held on the last Saturday of every October. This year, the date for Make A Difference Day was October 24. USA TODAY initiated Make A Difference Day, and is backed by the Gannett Company and TEGNA, Inc.
To make a difference for Make A Difference Day, visit makeadifferenceday.com. Posted on October 22, 2015 by staceyanderton1	in Uncategorized. 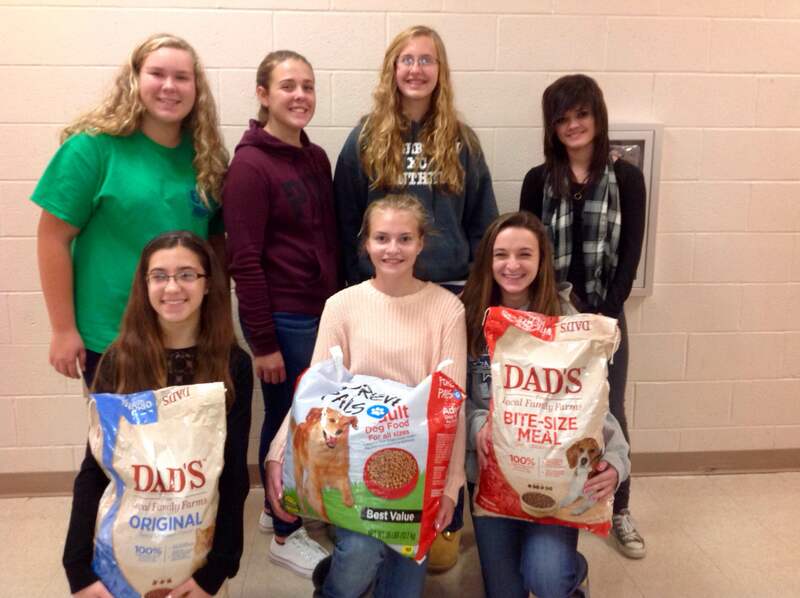 Junior high class council raised money to assist the Townville Kennel. Super small AP World History class meets everyday during seventh period. You know that moment when the teacher asks a question and you look around to see who will answer it? Well, imagine that you are in a class with only two people. That’s the situation this year for juniors Sydney Kightlinger and Tyler Brooks in the Advanced Placement World History class being offered for the first time this year and taught by Mrs. Kara Bechtel. class on a lot of writing on world themes, and changes and constants throughout time. Kightlinger said, “Take everything you would learn in three or more years in a general class, add more information, and put it into one year.” Mrs. Bechtel notes the difference between AP history and normal history as, “the amount of work, outside reading, and expanding on prior knowledge.” Brooks says that he is intrigued by the world’s past and wishes there were more classes like this because they are intellectually stimulating. 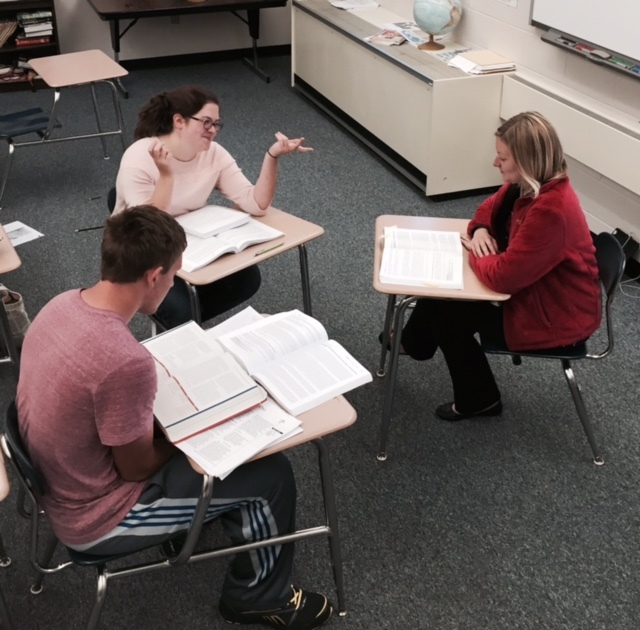 They are preparing for the AP World Exam that will take place on May 12, 2016 at Saegertown. Kightlinger, Brooks, and Mrs. Bechtel commented that they enjoy the small class size but would prefer a class of about seven to nine. Mrs. Bechtel said, “I like a smaller size, but two is a little…,” and Brooks added, “I prefer a smaller class, but not this small.” Both students commented on the struggle with having debates with only two people. One of Mrs. Bechtel’s hopes for the class next year is to get more students enrolled in the class. Posted on October 21, 2015 by staceyanderton1	in Uncategorized. The Saegertown boys varsity soccer team has kicked its way into a fantastic season with only three losses thus far, to Warren once and Meadville twice. 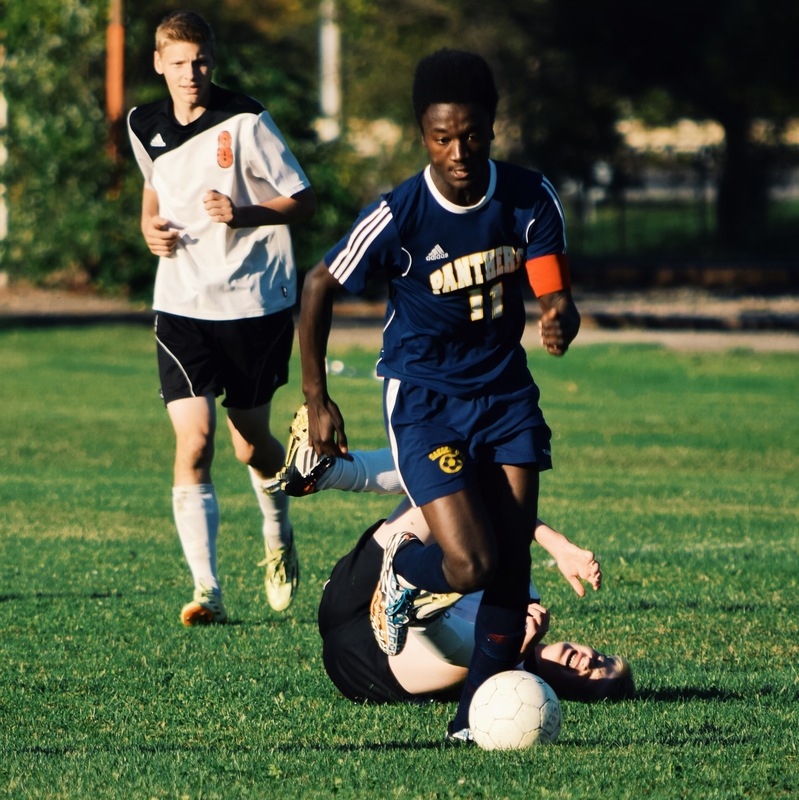 And standout senior captain Peter Mattocks, dubbed the Haitian Sensation by The Meadville Tribune, has broken two records so far this season. Peter Mattocks takes the ball down the field against Calvary Baptist on Sept. 4. 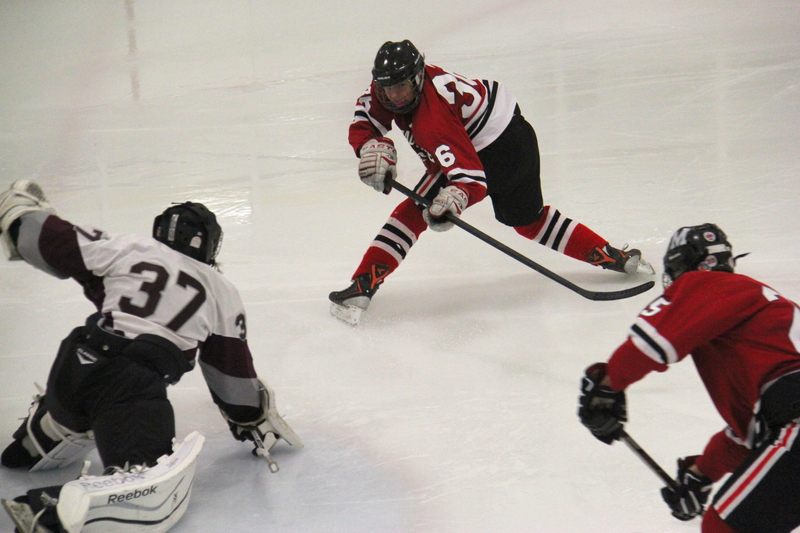 As the season continues to move rapidly, the Panthers are hoping to keep the wins coming. They are getting ready to enter playoffs, and they expect to make the community proud. “I want the team to get better, dominate in playoffs, and bring home something good,” Mattocks said. The team will be in action again on Monday Oct. 26 at home against General Mclane. Posted on April 21, 2015 by staceyanderton1	in Uncategorized. 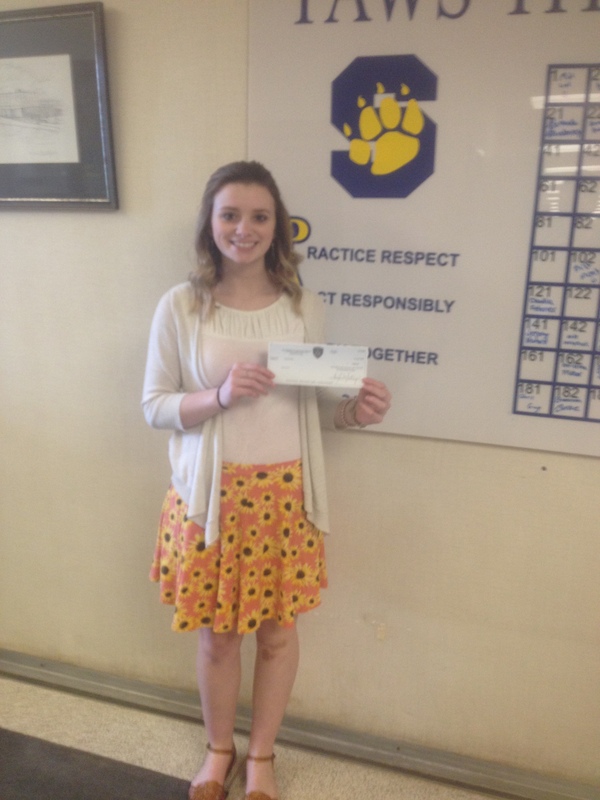 Sarah Allen received first place and $1,000 in the Young Driver Skills Competition in Crawford County on April 14. The competition is sponsored by the Pennsylvania Motor Truck Association, and the money is awarded by Allstate Insurance. During the competition, the drivers had to take a written test, a perceptual test, and a low speed driving test. The perceptual test involved the competitors being shown a series of slides, and then being asked three questions about them. Allen’s combined score was the highest in seven years, with 128 correct out of a possible 165. “I was really shocked because I didn’t think I did that well,” Allen said. She will be competing in the state competition on May 12 in Camp Hill, Pa. She will have the opportunity to win a $5,000 scholarship if she places first. She is not the only student from Crawford who will be advancing to the state level, however. The top two from the local competition will move on, which includes Jon Frawley, a senior at CASH. Allen was not the only student from Saegertown to place in the competition. Senior Tyler Nulph took third place and is planning to buy a car with the $300 he won. “It was a great experience, and it was more difficult than I thought it would be,” Nulph said.